Come and play with the elephants on our eye-catching Grobag. With its bright colours and contrasting turquoise faux pocket, your little one will definitely stand out from the crowd. Faux pocket in line with British Standards. 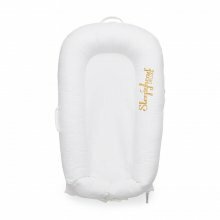 An ideal time to start using a Grobag baby sleep bag is when your baby weighs more than 8.8 lbs (0-6 mths size). Your child’s head should not be able to pass through the neck hole when the Grobag is fastened; otherwise the Grobag is too big. Remember to check the weight of your child. A number of factors determine the tog rating of the baby sleep bag that should be used. These include the number of clothes your baby is wearing, the temperature of their bedroom and your baby’s health. 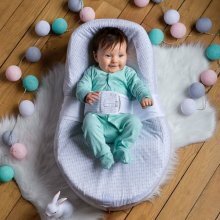 Grobag Baby Sleep Bag is a wearable blanket that will keep your baby at a comfortable temperature all night long. The table below shows our guidance on the correct tog of Grobag and clothing to be used in different room temperatures. 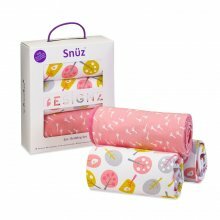 Grobag Baby Sleep Bags are designed to be used instead of blankets and top sheets and you need to regularly check your baby to make sure he or she is not too hot or cold, as all babies are different..
Grobags come in a range of styles to suit your needs. Fixed shoulders are great if your child moves around more. Ideal for toddlers. Like normal Grobags but with the extra feature of a two way front zip and a back vent so it can easily be used with a 5 point harness in car seats or pushchairs. 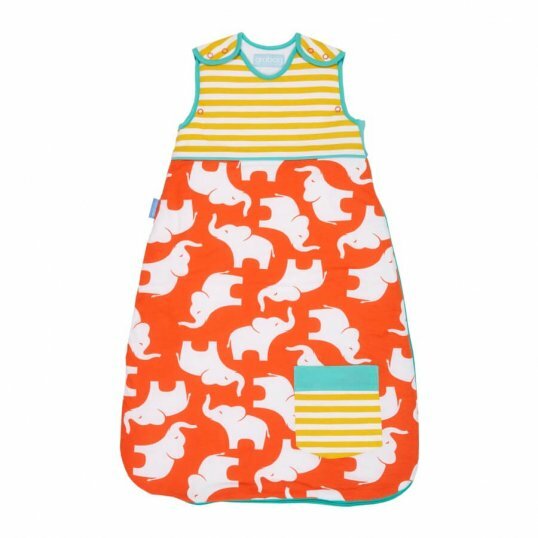 All Grobag Baby Sleep Bags can be machine washed at 40°C. They can be hung out to dry or tumble dried on a low setting. As with all cotton goods, we have designed our Grobags to allow for up to 5% shrinkage. 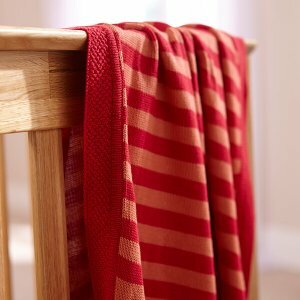 If your child has any allergies and you wish to wash your Grobag at 60°C, you should allow for a little more shrinkage. When washing, it is best to keep the zip closed. You can iron your Grobag on a low heat if desired, always keeping the iron away from the zip or covering the zip with a cloth. We recommend that you wash dark colours separately for the first few washes. We also recommend that you wash your Grobag with a detergent that is free from bleaching agents in order to retain the original colours.